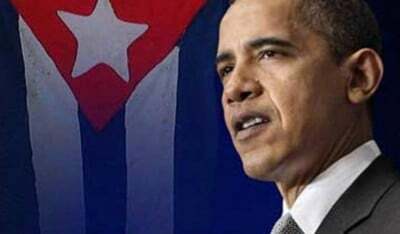 Days ahead of President Barack Obama’s trip to Cuba, the oldest son of revolutionary Ernesto “Che” Guevara has expressed mixed feelings about the historic visit. He will be the first sitting president to visit the island nation in nearly nine decades. He also said that his father “felt that we could also transmit ourselves outwards … Maybe we can influence the U.S. in a positive way,” he said. Talks on the trip have been unfolding for months, after the two presidents first discussed it during a September meeting in New York at the United Nations General Assembly, their second meeting after announcing the policy shift in December 2014. Mr. Obama told Mr. Castro that he would like to visit Cuba before the end of his term, but that he would be willing to make the trip only if he could justify it by pointing to concrete progress in the normalization process. He instructed senior White House aides to begin working toward that goal. “The U.S. government criticizes civil and political rights in Cuba while disregarding Cubans’ superior access to universal housing, health care, education, and its guarantee of paid maternity leave and equal pay rates,” she wrote. And of course there’s the issue of the U.S.’s notorious offshore prison on Cuban soil. “Guantanamo Bay is an international symbol of the breakdown of the rule of law and systemic abuse,” said Human Rights First’s Daphne Eviatar in a media statement Friday. “President Obama will likely raise Cuba’s human rights record when he meets with officials; the continued operation of Guantanamo will make it more difficult for him to have moral leadership on the issue,” she said.